I hope this note finds you well and you had an enjoyable summer. I was in Turkey – in Istanbul then in Bodrum – it was very special to be back home and spend quality time with my family. 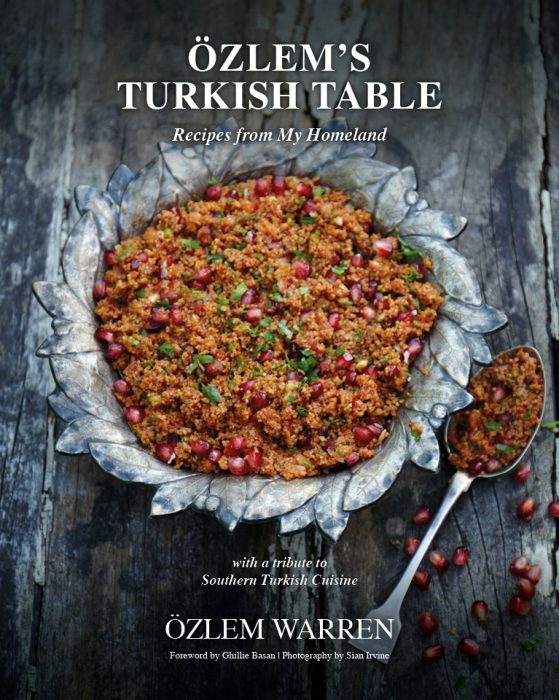 The last few months have also been very busy preparing my Turkish cookery book, Ozlem’s Turkish Table – Recipes from My Homeland with GP Publishing. If you may recall, we had a fantastic photo shoot with the very talented Sian Irvine Photograpy back in July. Since then, we have been lovingly editing and shaping each chapter; it’s now coming together beautifully and I can not wait to share with you all! This book will be a compilation of my favorite Turkish recipes and a special tribute to my southern Turkish roots, with an emphasis on regional dishes from my hometown Antakya and southern Turkey in general, along with my personal stories. There will be some lovely black and white photos of my parents, grandparents and family in the book, which are so dear to me; these were the people I got my inspiration from and the book is their legacy, it will be special to share with you all. With this book, I truly hope you feel the warmth, generous, sharing spirit of our Turkish culture; I truly hope it may inspire you to have a go at the recipes – and there will be delicious new recipes too – and that the book will help you to connect with my beautiful homeland. It’s been a labor of love in the making but we are almost there – we plan to be ready for pre-orders by November and the book will be out in March 2018. I hope to be able to personally sign the copies for you and hope to see you at one of our pre-order book events – stay tuned! 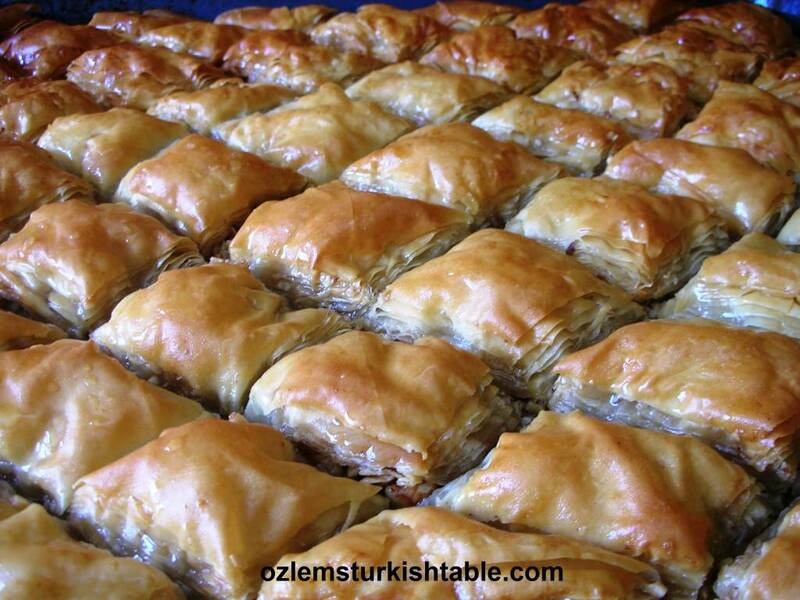 I have a delicious, hands on Turkish cookery class coming up at the Divertimenti Cookery School in London on Saturday, October 7th, with home made baklava and many more. Below is the class details, do hope you can join us! 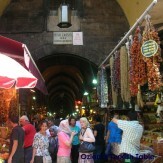 Please join us as we will cling on to the autumnal sunshine than with a feast of delights from Ozlem’s Turkish Table. Showcasing authentic, regional recipes from her beloved homeland, you will cook alongside Ozlem preparing a selection of seasonal dishes from this colourful and aromatic cuisine as well as learn about Turkish coffee. 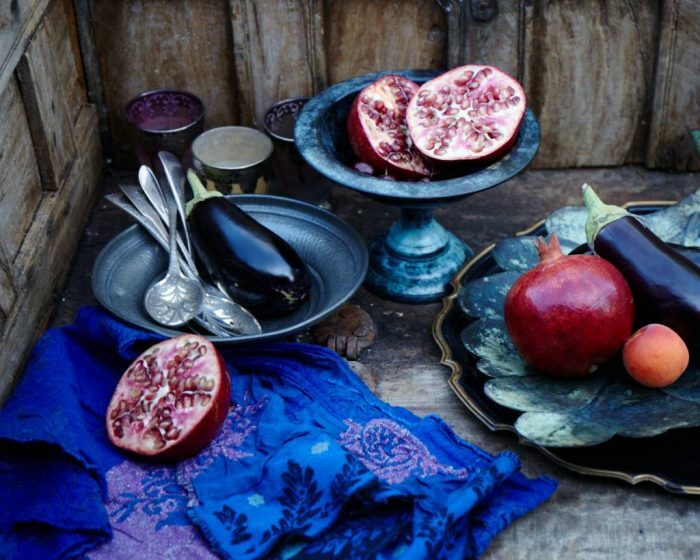 Recipes will include ‘Zeytinyagli Sarma’ (Stuffed Vine Leaves), ‘Shepherds Salad, ‘Iskender Kebab (Tender slices of meat over pita bread with roasted vegetables and yoghurt sauce), ‘Baklava with Walnuts’ and Turkish Coffee. 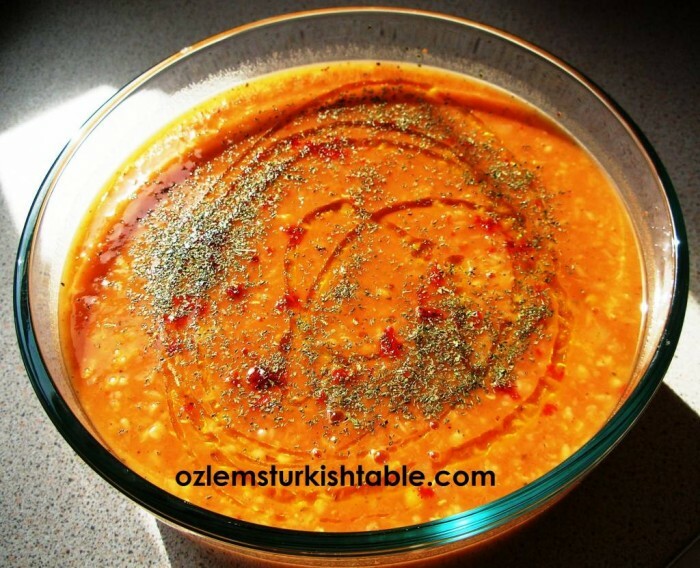 With the temperatures turning cooler, I have been cooking wholesome soups like Ezo Gelin Corba, Turkish spicy bulgur and lentil soup. We love this soup as a family; it’s satisfying, easy to make and so delicous, flavored with dried mint and red pepper flakes. I tend to make a big batch and freeze leftovers, works very well. Here’s the link for my Ezo Gelin corba, I hope you enjoy it too. 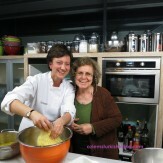 Very much look forward to your cookbook. Hopefully, it will be available in the US. Are you coming to Texas for your book tour? When my granddaughter visits me, I always fix Turkish breakfasts for her from your recipes. She loves them. 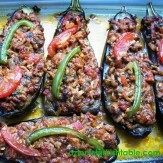 I just love Turkish food! I can’t wait to get this book.